Chelsea face a battle to land the “next Andrea Pirlo” Sandro Tonali in January with Inter Milan sending scouts to watch the prodigy. The west London giants are hoping to land the Brescia wonderkid in the upcoming window but face tough rivalry from Serie A.
Italian manager Maurizio Sarri and Co. are still thought to be leading the hunt, reportedly willing to splash £20 million on the talent. Chelsea sent scouts to watch Serie B side’s 4-1 win over Padova earlier this month as the club ramp up their interest. But now Inter Milan are joining the race, as they sent club legend Giuseppe Baresi to watch over Tonali this weekend. Baresi played nearly 400 times for the Nerazzurri – and now works at the club as the tactical adviser, primarily with the youth teams. 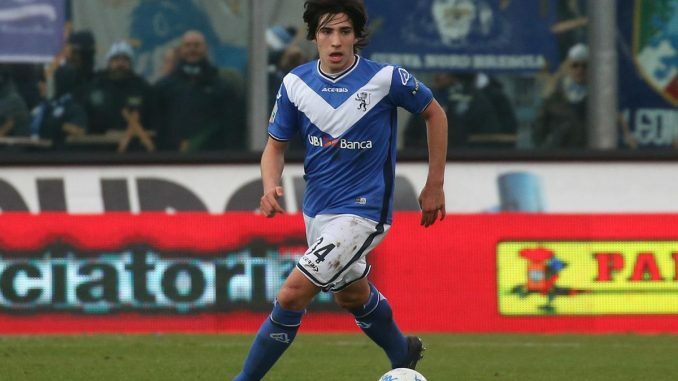 Tonali has also drawn the attention of city rivals Juventus, AC Milan and even Ligue 1 strugglers Monaco. AS Roma too are in the race and are thought to have submitted a £8 million bid earlier this year – swiftly rejected by Brescia. Sarri is a long-term fan and wanted Tonali at Napoli a year ago, but a big Blues offer would put them at the front of the queue in January.